Phoenix, AZ – February 7, 2018 – ABI Multifamily, the Western US's leading multifamily brokerage and advisory services firm, is pleased to announce the $7,000,000 / $125,000 Per Unit sale of the Tempe North Apartments, a 56-unit apartment community located in Tempe, Arizona. The property is a two and three-story apartment community, built of solid block construction and comprised of five separate buildings built in 1987, renovated 2015-17. The property features all (52) 2-bed/1-bath and (4) 3-bed/1.5 bath units with an average size of 757 square feet. Each unit is individually metered for electricity and each has an individual hot water heaters. "The property has premium appeal being located just a short walk from Light Rail and approximately a mile from ASU's main campus," states Doug Lazovick, Partner at ABI who represented the Seller. "The Buyer," states John Kobierowski, Senior Managing Partner at ABI who represented the Buyer, "saw a great opportunity to purchase a substantially rehabbed project with upside in rents by completing further interior renovations and in an area where there is significant on-going drivers and demand." 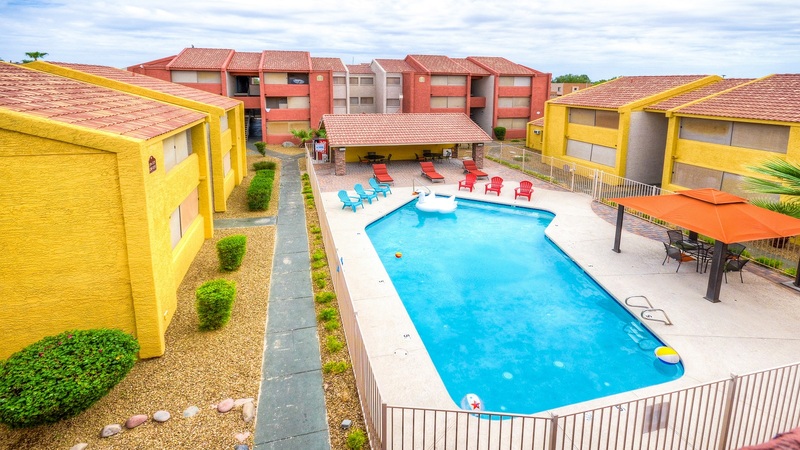 The Phoenix based ABI Multifamily brokerage team of John Kobierowski, Alon Shnitzer, Doug Lazovick, Rue Bax and Eddie Chang represented the Buyer and Seller in this transaction.